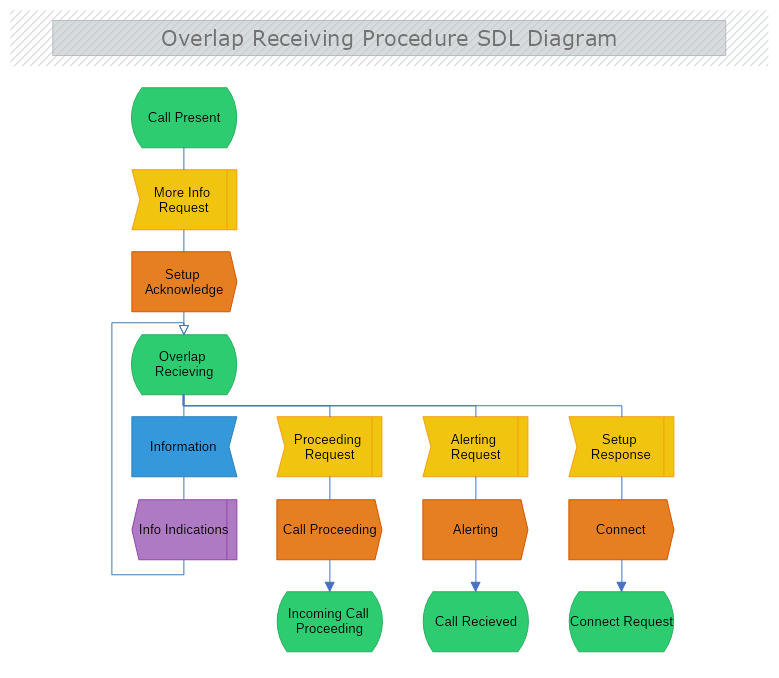 This is a SDL diagram of a call overlap procedure. This diagram represent the process of receiving an overlap call and all the steps within the process of overlapping execution. Download this free template and modify it with MyDraw so it meets your needs and requirements.